Creative Scotland today announce a brand new film studio based in Granton, with the blockbuster ‘Zombie Apocalypse in Jockistan’ directed by Lynn Ramsay to open this year’s Edinburgh International Film Festival. Tomorrow Hannah McGill talks to the cast. They’re not actually going to call it that surely? Er, no. This is a joke. 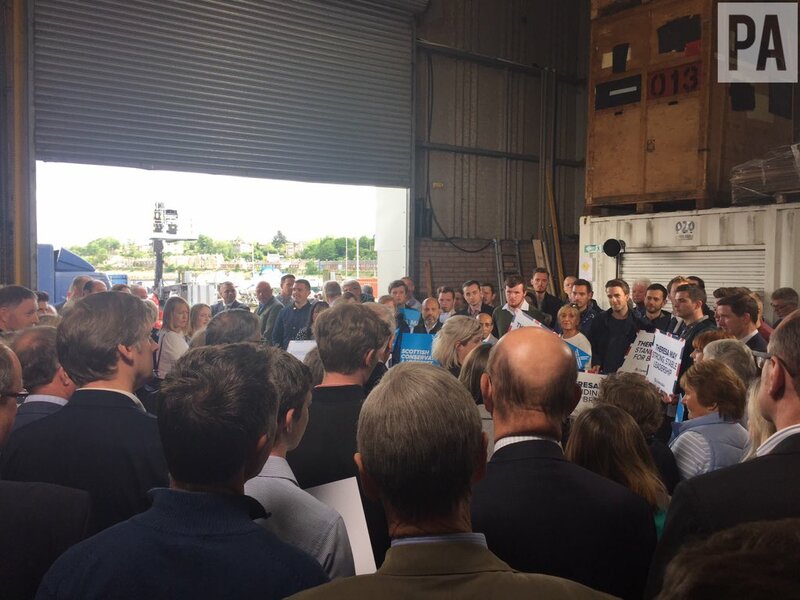 It’s the Tories in a warehouse in Granton, not Zombies. Difficult to distinguish I know. Difficult to parody this but fair effort! There are much more positive things going on in Granton these days!